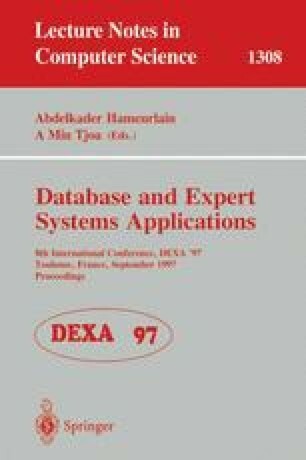 Derivations in object-oriented databases are supported currently by means of imperative methods or by using deductive or even active rules. As imperative languages are difficult to analyze in order to extract dependencies, derivations are never maintaine and attributes are calculated each time they are requested. Deductive rules, inherited from relational model, are a declarative manner to express derivations, but they do not provide a maintenance mechanism. Active rules can be used to maintain derivations, but they are event-oriented whereas derivations are naturally data-oriented. We propose to join the advantages of both the declarative expression of the deductive approach and the automatic maintenance of the active approach. We aim at defining a declarative language to express mono-valued, multi-valued and recursive derivations in an object-oriented database context, and maintaining these derivations using a dependency graph.